Shared work spaces provide all of the perks of owning your own office without the full responsibility or expense of managing it. Business centers provide you with the full array of resources your company needs to function, including printing, copying, faxing, answering calls and receiving mail, without having to be concerned about managing these yourself. In a shared office space you will also have access to conference rooms and kitchen/cafeteria areas that may not be a reasonable investment for your business alone due to either a small staff or limited finances. By minimizing the time and capital you devote to upkeep and infrastructure, you have the capability to make your business more sustainable. Convenience is a leading factor for many of business that have made the choice to become our clients here at AdvantEdge Business Centers in Washington, DC. We have three locations, all with state-of-the-art accommodations, high-powered addresses, and capable, helpful and bright staffs. Each center is designed with our clients' needs in mind. 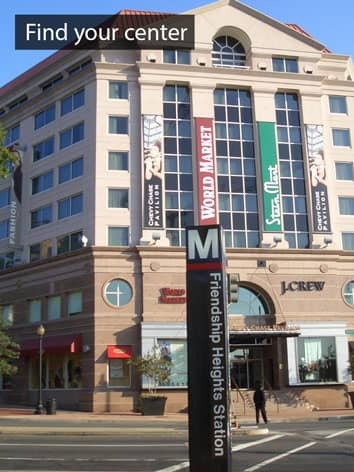 With accessibility to a Metro stations, one center in Chevy Chase, DC, and two near both the Foggy Bottom and Dupont Circle neighborhoods, our centers help you make the right impression on your own terms. 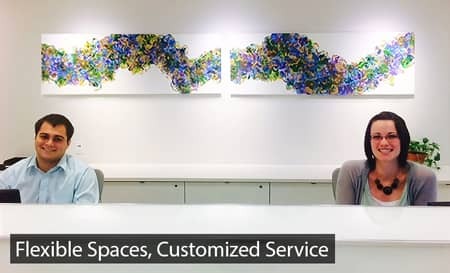 You can establish your place of business at the location that is most convenient for you and your clients, and AdvantEdge’s reciprocal use policy also allows you to utilize the support and space at any of our locations as the need arises. Follow the link below to schedule a tour at any of our three locations. AdvantEdge’s work spaces make for truly exciting locations to host and run your business. The social and collaborative atmosphere created by the other businesses and staff at AdvantEdge make for a bright and enjoyable workday. We also provide your business with the tools they need to succeed in a convenient and cost effective way. Schedule a tour today to find out more about availability and how your business can become successful with AdvantEdge Business Centers.